– ¼ teaspoon cayenne pepper to taste. – In small bowl combine all ingredients. Mix well with spoon then use hand to kneed dough. – Dough should be elastic and hold together. If dough too dry add small amount of water as needed. – Divide dough in equal balls . Roll each ball on parchment paper. – For circular tortilla divide dough with large bowl or large cookie cutter. – Place olive oil in skillet and bring to medium heat. When olive oil hot place tortilla cook each side for 30 to 40 seconds. Remove drain paper towel. – Continue and cook each tortilla. 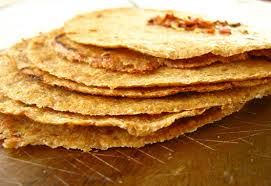 The longer tortilla fried crispier each tortilla becomes.